Richard Brown operations manager - "This is a great move for the company and it will now allow us to drive forward in the market place. 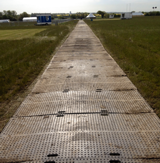 TuffTrak® is a great product for the event sector and the construction industry and has been proved on many testing sites, For many years event and construction sites have used Aluminium Trackway Panels attracting the interest of thieves. With TuffTrak® there is no scrap value." 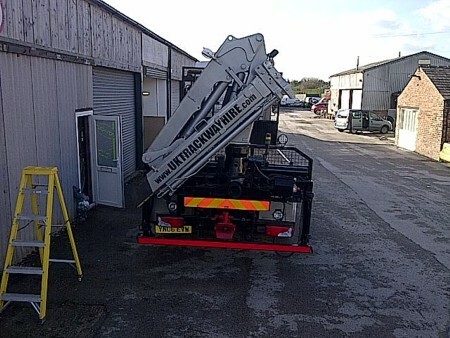 Uk Trackway Hire Expands our fleet by adding two more trackway deployment HIAB trucks. The new trucks are special designed with Atlas 92.5 cranes which allows us to deploy our trackway in the most of challenging locations. 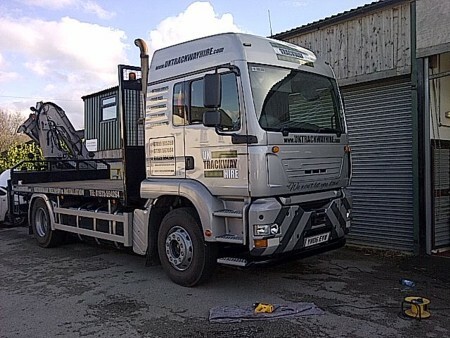 Uk Trackway Hire spokesmen Tony Adams said - "We are delighted to have take delivery of our two new Deployment truck which are now in full service out in the field. We will continue to invest in are growing business to keep up with our customers requirements." 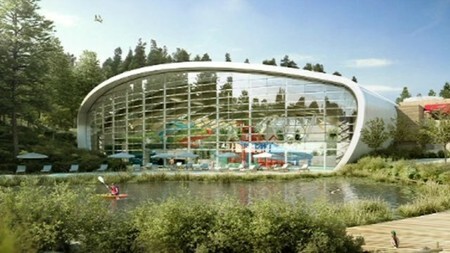 Uk Trackway Hire as been chosen by the British holiday specialists to supply 3000 brand new Trackway Mats to be sited at the there new Holiday Village build in Bedfordshire over the next 3 Years. Richard brown a spokes man for the Cheshire based Uk TrackWay Hire Ltd Said - "We are delighted to be part of this new super holiday park build project. Our Trackway will assist with the heavy plant and delivery movement around the site during the build. The good old British weather has played its part this year making the site very difficult to move around, but now we can help remedy this problem and work at the site can now continue on schedule. 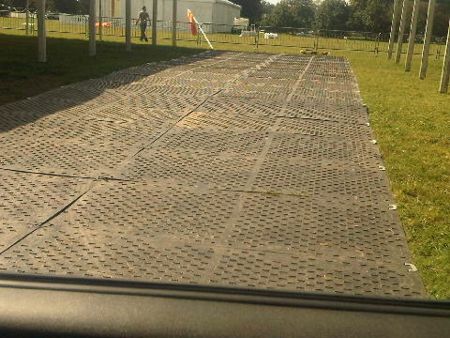 Uk trackway hire have now completed a new 2 year contract to supply Event World Ltd with 600 new track mats for there outdoor events in 2013/2014. Events World Ltd spokesman Brian Jones said - "we feel that the British weather has taken a toll on us and many events organisers and leaving us with no where to turn but to cancel our events. We now have the reassurance that we can call Uk trackway hire and keep our much loved British outdoor events up and running with ease."